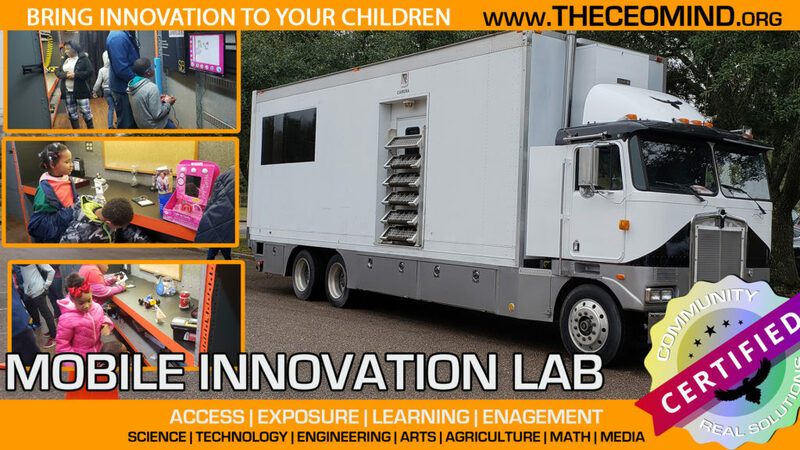 The Mobile Innovation Lab is a unique, fun, engaging learning experience on wheels. Designed to provide experiences for elementary, middle & high school in learning modules of 5,10, and 30 minutes. It’s the ultimate in access & exposure providing a gateway into future growth, careers & pathways. Equipped with computers, smart TVs, computers, Arduino’s, Raspberry Pi’s, science equipment and all sorts of science and tech equipment that provides a powerful hands on learning experience. We have separate activities & curriculum for elementary, middle & high school students; each able to align with regular STEM study. Meet The Mobile Innovation Lab, we call him #TheTransformer .